For the Seaside Bank Coral Gables, we were asked to create details reflective of the style of the legendary 1920s society architect Addison Mizner. 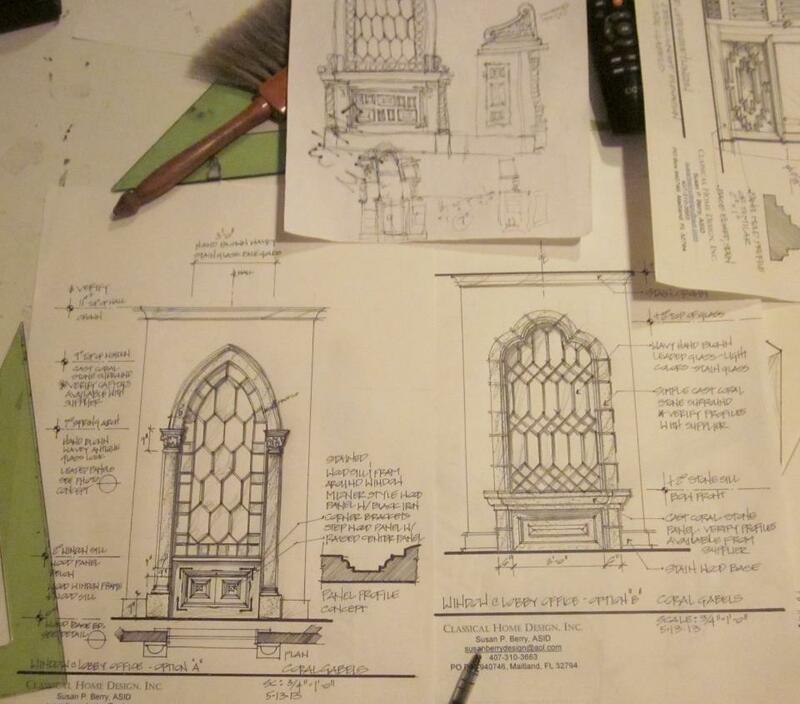 Sketch concepts for the window of the corner office reflect the leaded glass details and intricate cast coral stone surround of an Addison Mizner style window found at the Boca Raton Resort. Portfolio: Seaside National Bank, Coral Gables, Florida: interior architectural detail sketches by Susan Berry. Window at corner office and cabinetry details. Another Interior Design and Architecture firm created the space. 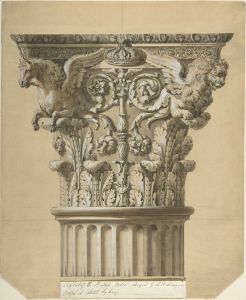 Our contribution includes the cabinetry details. The coffee bar, seen with the arched center piece, on the wall next to the entry, is designed to look like antique furniture. 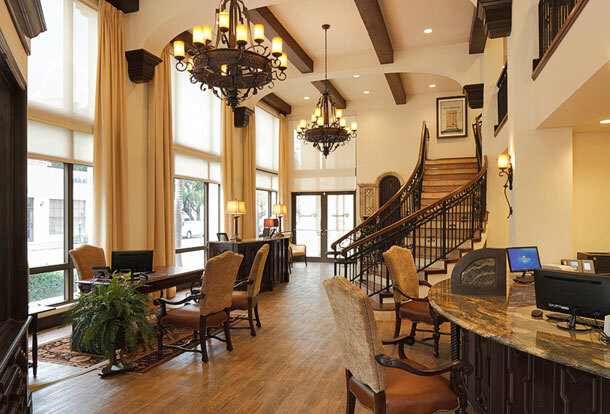 The concierge desk and the teller cabinetry are designed in a Jacobean style, the era of many of the furnishings in the Boca Raton Resort and Club. Simple clear glass and a wood surround matching the teller cabinetry were used, both to reduce cost and expedite construction. Side details of the concierge desk. 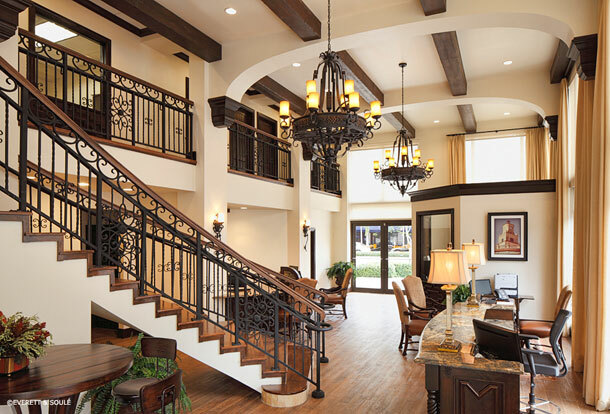 The railings, furnishings, lighting and ceiling details are by other team members. Susan Berry provides consulting for commercial design concepts. She does not practice commercial architecture. 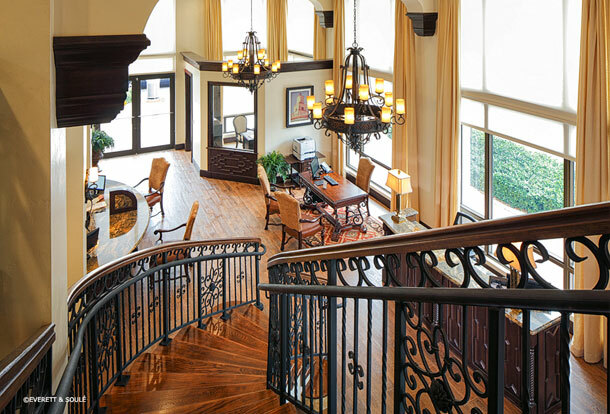 Classical Home Design, Inc. often creates interior theme concepts for corporations, interior designers and state licensed architects for them to incorporate into their construction documents. Please contact us for your design projects. Seaside National Bank themes the design of each individual branch to reflect the architectural style of each city location. CHDI has created themed details for several locations for commercial builder Castleworks, Inc. and their team of architects and designers. All photos are courtesy of the builder, Castleworks, Inc. Many of our clients work with architectural firms who are brilliant with construction documents but do not have a full-time designer on staff who is an expert in historical design or themed design. With a background combination of theatrical design, theme park design, and historical preservation, that’s where we come in.